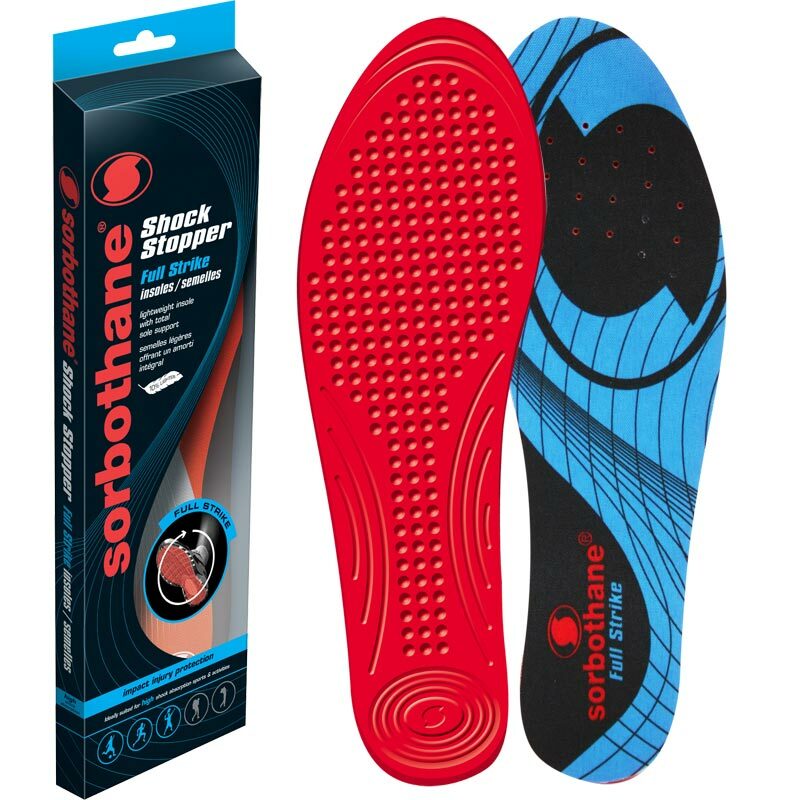 Sorbothane ® Shock Stopper Full Strike Insoles are a lightweight insole with total sole support. Ideal for activities where both the whole foot is subjected to impact shock. 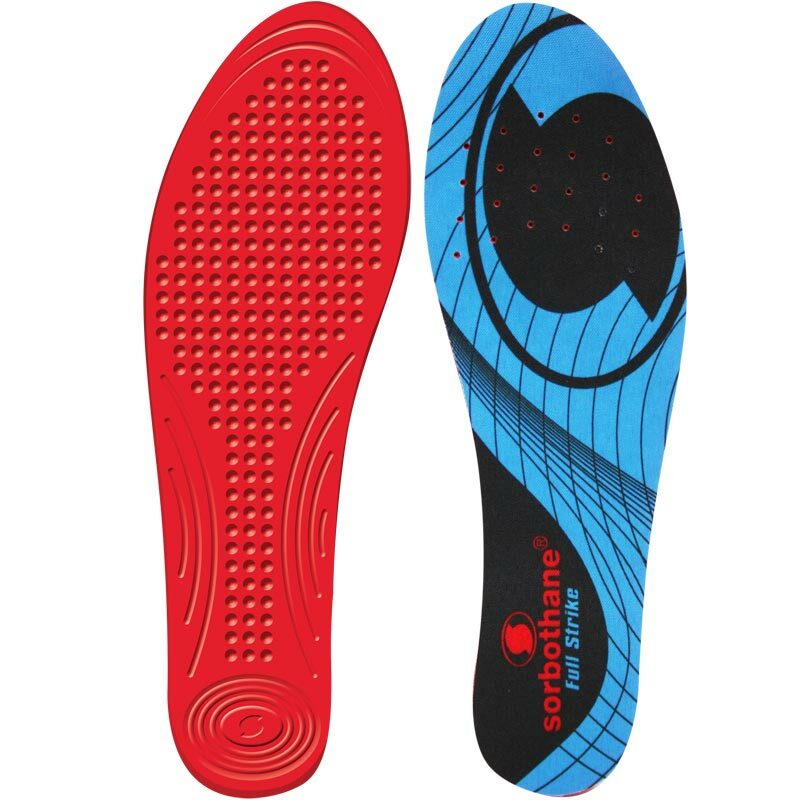 As an addition to or replacement of the original insole. Ideal for high shock absorbtion sports & activities. ie: Football, badminton, running and fitness. I’ve purchased these insoles many times in the past and thankful for them. I have a metatarsal problem along with hammer toe and these insoles have helped massively. I would definitely recommend them. Does what it says on the can Excellent. excellent product. I use them for prevention of blisters and I haven't had one since I started using them.